Nicknamed the “Sweetheart of Okinawa” by the U.S. Marines and “Whistling Death” by the Japanese, the Corsair performed effectively in two years- the Pacific conflict of World War 2 and the Korean engagement of the early 1950’s. The first production Corsair flew on June 25, 1942 at a time when the Japanese offensive seemed irresistible. 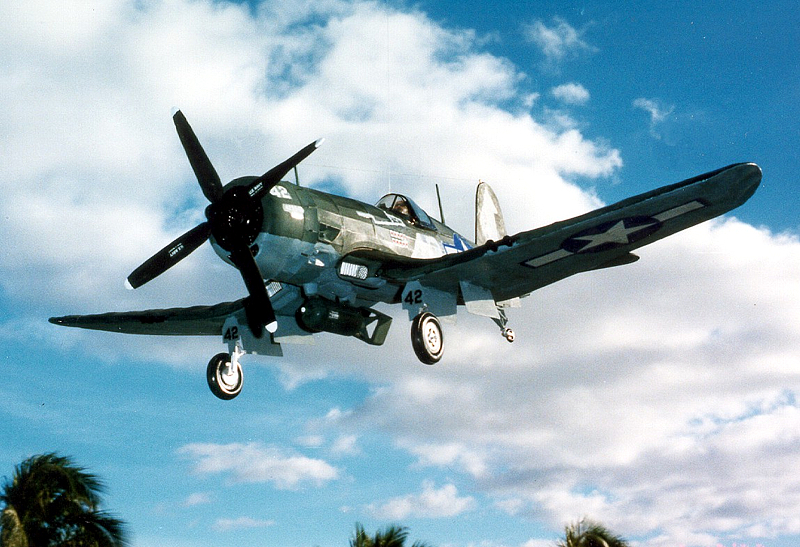 It was not until late that year, with the delivery of the first Corsair squadrons into the hands of the U.S. Marines on Guadalcanal and the Solomon Islands, that the tide of air combat was permanently turned in favor of the Allied Forces. 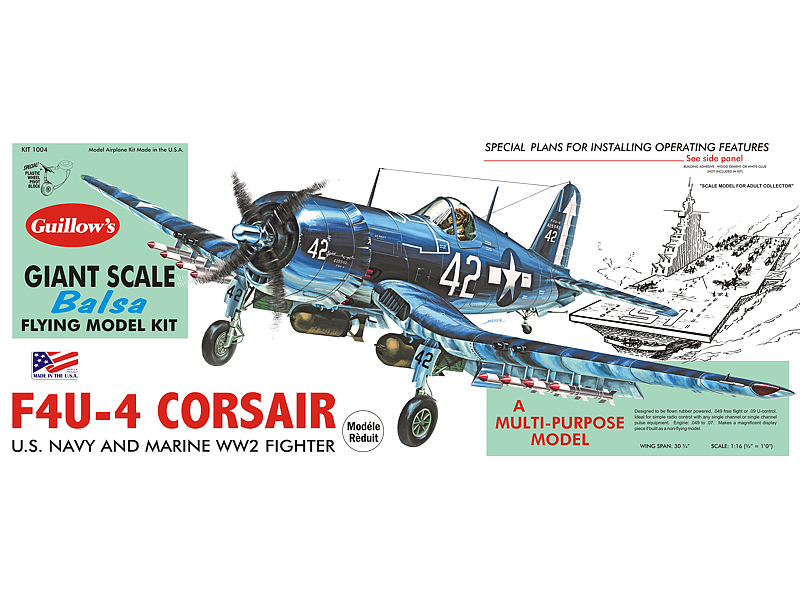 To the British Navy in the early 1944 goes credit for introducing the Corsair to carrier service. Nine months later, the U.S. Navy cleared the way for the Corsair to become the mainstay of its mighty carrier fleet.